Father’s Day is celebrated on the third sunday in the month of June. Father's Day is a celebration honoring fathers and fatherhood, paternal bonds, and the influence of fathers in the society. Many countries celebrate it on the third Sunday of June, but it is also celebrated widely on other days. Father's Day was founded in Spokane, Washington in 1910 by Sonora Smart Dodd, who was born in Arkansas. Her father, the Civil War veteran William Jackson Smart, was a single parent, who raised his six children alone. After hearing a sermon about Mother's Day in 1909, in her church, she told her pastor that fathers should have a similar holiday honoring them. She first celebrated father’s day on 19th June. Later, as the pastors would have it, the celebration was deferred to the third Sunday of June. In 1972, President Richard Nixon signed a law and the day was made a permanent national holiday. Father's Day is widely celebrated throughout the world with much excitement. The celebration is considered to be a special day in everyone's lives as people express their gratitude towards their fathers or father figures for their caring hearts and contribution to their children's lives. 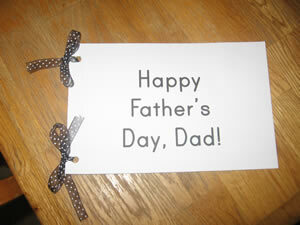 People organize or plan various exciting programs to observe the day and make their fathers feel special. The trend to celebrate Father's Day takes place every year across the world on various dates.